Free subscriptions to our current and future global publications are available. Emerging market equities disappointed most investors in 2018 and it is hardly surprising that there remains much skepticism about their prospects in 2019. Global investors continue to fret about higher interest rates as most developed economies have possibly entered late cycle expansions. The energy sector’s earnings and cash flow outlook has brightened in the recent weeks with the international Brent crude oil benchmark moving closer to $75 per barrel. Taiwan, the East Asian island that has close political and economic ties with China, has made a name for itself in the field of global electronics manufacturing. 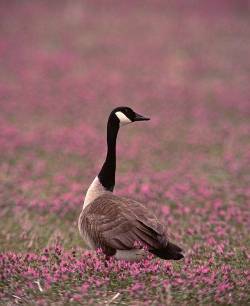 A wildlife sanctuary, Canada is home to a variety of species, including the stately Canada Goose, originally described in the 18th Century. Mispronouncing “kanata,” the native Huron-Iroquois word for village, French navigator Jacques Cartier christened Canada with its name in 1535. Initially, this huge parcel of land became a treasure trove due to the abundance of fur, a commodity valuable to European traders in the 15th and the 16th centuries. In the early days of the nineteenth-century, regional economies based on fishing, farming, lumbering, mining, and manufacturing were Canada’s mainstay. 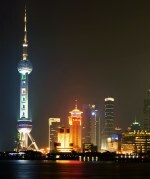 Increasingly, the country has moved into national and international markets through the force of technological change and commercial policies. Canada, from the days of fur trade to the current day, has witnessed a profound transformation. Canada’s motto aptly describes the country. It possesses distinctive geographical features ranging from old rocks, mountains, seas, lakes, rivers and heaps of natural resources. The second largest country in the world by area, Canada’s huge land mass equals ten million square kilometers, and could hold 58 million countries the size of the Vatican City. Canada contains a submerged part called the continental shelf, extending out to the sea, forming a low platform. 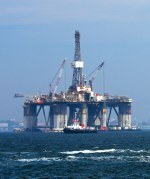 According to experts, this platform is said to hold vast amounts of reserves of crude petroleum and natural gas. Adding to this, Canada also holds huge resources of iron ore, nickel, zinc, copper, gold, lead, molybdenum, potash, diamonds, silver, fish, timber, wildlife and coal. Canada was originally inhabited by its indigenous people and some Asian immigrants moved in later. But the advent of European traders changed the structure of the society. France sent in a large group of settlers to colonize the land due to an abundance of natural resources, but the British later prevailed, dominating the French and establishing their rule. Canada became an independent nation in 1867 when the three provinces of British North America united to form the new nation. The country is both a constitutional monarchy and an independent democratic system led by Elizabeth II, Queen of Canada, as head of state. The Prime Minister is the head of the government and is appointed by the Governor General. Canada enjoys a stable political environment. With this, and sound policymaking, Canada weathered the recession relatively well in 2009 and is poised to pick up momentum in the years ahead. The U.S. and Canada cooperate on various military exercises and campaigns, but Canada maintains an independent foreign policy. It continues to have normal relations with Cuba and has kept away from the Iraq war. Due to enormous stretches of inhospitable wilderness towards the north, 90% of Canadians live within 200 kilometers of the U.S. border. In fact, the U.S. and Canada share the longest undefended border in the world, running up to 5,525 miles. The country has a population of 34.1 million, with a population density of only three inhabitants per square kilometer, one of the lowest in the world. The low population density poses a great challenge to the future development of the country especially because Canada is besieged with a problem of declining birth rate. Only a fifth of its population is under the age of 15 and fertility rates have now dropped to 1.54 children per woman. However, the official replacement fertility rate (fertility rate required to keep up the current level of population) stands at 2.1. Encouragingly, though, the life expectancy of a Canadian citizen is high at 80.22 due to the nation’s pristine environment and universal health care provided by the government. Canada has a literacy rate of 99%, and its people are more environmentally conscious. On the human development front, Canada is ranked 4th among 182 countries. Canada’s population is a multi-ethnic one, with Canada holding the highest per capita immigration rate due to liberal immigration policies. With high rates of immigration, Canada is a vibrant mixture of the cultures of its immigrants as well as the aboriginals of the country. According to the latest census on immigration and citizenship, spanning the period from 2001 to 2006, Canada had 6.18 million foreign-born people, which is 19.8% of the total population. In this timeframe, the number of people of Canadian origin grew by 3.3%, whereas the foreign-born population swelled by 13.6%. The census also enumerated that 1.1 million immigrants moved into Canada in the five-year period. An abundance of natural resources gives Canada a unique advantage. Mining, forestry and oil have formed the bastion of Canadian exports and trade for quite some time. Energy resources account for more than 50% of Canada’s total resource wealth, followed by timber and mineral resources. The country produces more than 60 minerals and metals, which comprise approximately a sixth of its total exports. Some of the metallic minerals Canada produces include gold, nickel, uranium, bismuth, zinc, cobalt, and cadmium. Potash, diamonds, and cement constitute the country’s nonmetallic mineral production. 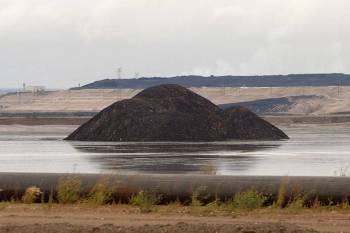 Coal also forms a substantial portion of Canada’s mineral assets. Canada’s vast forestland not only supports its burgeoning lumber trade, but also the pulp and paper business, one of the country’s largest manufacturing sectors. 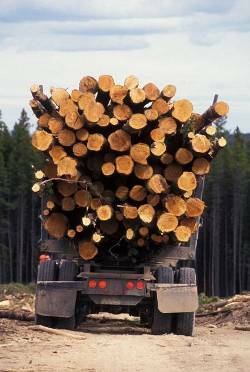 Equally important to Canada’s economy is forestry, which provides 1 out of every 44 jobs. Canada possesses 10% of the world’s forests measuring 402.1 million hectares (ha). It is one of the largest exporters of forest products, which contribute a significant amount to its surplus balance of trade. Huge expanses of forests give Canada a natural edge in the production of forest-based goods like wood pulp, paper, sawn wood and wood based panels, and contribute 14.6% of total exports from the country. Energy exports form a major chunk of Canadian trade, with the United States accounting for 99% of all Canadian energy exports. Furthermore, the presence of huge amounts of both conventional oil and non-conventional oil sands puts Canada in the second position after Saudi Arabia, as a holder of oil reserves. Indeed, Canada today possesses proven oil reserves of 177.9 billion barrels, with 173.7 billion barrels in the non-conventional form of oil sands. These reserves are mainly found in the areas of Athabasca, Peace River and Cold Lake in Alberta. However, the total recoverable oil reserves (non-conventional) are estimated at over 334 billion barrels. According to the U.S. Energy Information Administration, Canada has enough reserves to last at least 150 years at the current rate of production. This treasure trove catapults Canada into an important position on the global energy stage. Notably, Canada has always considered the Arctic region as a part of its sovereign territory, an area rich in oil and minerals. However, in August 2007, Russia challenged Canada’s authority over this polar region when it dropped a titanium capsule with a Russian flag on the North Pole’s ocean floor. Although the UN rejected Russia’s claim, a fight for this oil cache continues. As nearly all of Canada’s oil exports find their way into the United States, any slowdown in the U.S. economy, like the one now, tends to affect Canada’s energy exports. Due to the country’s geographical positioning, shipping oil across the Pacific or the Atlantic to other markets is either much more expensive than exporting to the U.S. or commercially unviable. Production of oil from the non-conventional reserves of oil sands is much more expensive than the production of conventional oil. Production of oil from conventional sources costs less than a $1 per single barrel in Iraq and Saudi Arabia, whereas the production cost per barrel of non-conventional oil amounts anywhere from $9 -$14 for an existing oil operation and $18 and above for a new operation. If oil prices were to fall significantly from current levels, the operations of these oil sands may prove unprofitable. Canada’s oil sand reserves are primarily located in three major deposits in northern Alberta. With skyrocketing oil prices, oil sand production is currently profitable, and interest has increased in harvesting this resource. Canada also has a very strong services sector, which contributes 66% of its GDP. Tourism, financial services, internet, telecommunications, and aeronautics top the list of service-oriented industries. In fact, financial and insurance services have traditionally garnered a considerable portion of the Foreign Direct Investment that flows into Canada. For ease of starting a business, Canada has been ranked second by the World Bank. It has also been featured among the top five countries in UNCTAD’s Inward FDI Potential Index since 1990. The manufacturing sector contributes 31% to the GDP and continues to be dominated by automobile production and other large equipment and farm equipment. Being a resource-rich, sparsely populated country, Canada is primarily dependent on trade for economic growth. Trading activity accounts for 70% of the country’s GDP while domestic consumption contributes the remaining 30%. In sharp contrast, the country’s powerful southern neighbor, the U.S., depends on domestic consumption for 70% of its GDP and on trade for the rest. 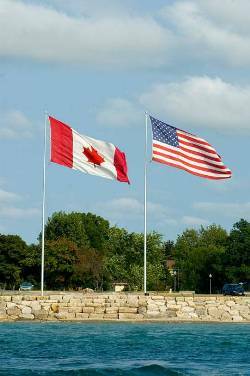 The U.S. remains Canada’s largest trading partner, followed by Japan and the European Union. In fact, the bilateral trade relationship between Canada and the U.S. — valued at more than $500 billion — is the largest in the world. However, the relationship is lopsided. For instance, in 2008, the U.S. accounted for just 1. 52% of all Canadian imports, but 78% of all Canadian exports catered to the U.S. On the other hand, only 16% of all U.S. imports came from Canada, and 20% of all U.S. exports went to Canada. Clearly, Canada’s growth hinges heavily on the economic well-being of the U.S. The U.S. and Canada share one of the friendliest bi-lateral relationships. Each day, not only do 300,000 people cross the border between the countries, but trade volume amounts to a staggering $1.5 billion. In the years preceding the recession, Canada was skating along nicely on a steady growth path. With a real GDP growth rate averaging nearly 3%, its economy was leading the G7 industrialized countries in GDP growth. Further, unemployment was low at 5.9% and the inflation rate was a comfortable 2.4%. But just when it seemed everything was on track, the ice began melting on the rink and all key players of Canada’s economy slipped. As the U.S. swiftly sank into a recession, Canada’s energy exports slumped more than 50%. Global demand for its minerals also waned dramatically. In 2009, the total value of the minerals Canada produced plummeted more than 30% to $32.2 billion from $47.0 billion in 2008. All three major mineral categories — metals, non-metals, and coal — suffered from reduced production volumes and prices. Metallic mineral production declined close to 28.5%, while nonmetallic mineral production shrunk 40.9%. Among metals, only gold and uranium remained insulated. Gold output increased only marginally, but soaring prices of the yellow metal boosted the value of Canada’s gold production. Fortunately, when it entered recession, Canada was in a much better fiscal shape than most other developed countries, especially the U.S. The government quickly incorporated a $30 billion stimulus package into its budget for 2009 to support the Canadian economy. The package, announced as early as January 2009, provided for spending of $12 billion on infrastructure, $7.8 billion on measures to stimulate housing construction, and $8.3 billion on the skill enhancement for Canadians. Interest rates came down to historic lows. Various other factors also helped Canada fare better than its peers in the developed world. For one, Canadian households, companies, and governments had much healthier balance sheets than, for example, those in the U.S. Further, Canada has always prided itself on its robust financial sector. This pride was well placed, as its financial institutions remained resilient during the crisis. Moreover, Canadian employers cut payroll quickly into the crisis, but they did not cut as deep as firms elsewhere. Therefore, compared to the U.S., Canada suffered only half the rate of job losses. The Winter Olympics held in Vancouver in February 2010 also gave a fillip to various industries, including the construction, food services, and tourism sectors. Thus, although Canada moved from 2009 to 2010 with a GDP contraction of 2.5%, it has performed well compared to other developed nations. The country today has one of the healthiest housing sectors among developed nations. Both housing starts and home sales have been increasing consistently. In fact, thanks to record low rates and the relative strength of household finances, Canada recorded notable home sales as early as mid 2009. Further, private sector hiring is on the rise and the unemployment rate is holding steady. Manufacturing activity too continues to improve steadily. Given these factors, Canada is expected to clock a GDP expansion in 2010 as well as in 2011. Much like other resource-rich nations, the country stands to benefit immensely from the rapidly increasing global demand for commodities. Moreover, neighbor U.S. has also had a remarkable revival since the beginning of the second half of 2009. Its manufacturing sector has been one of the fastest growing areas of the U.S. economy. This is significant because nearly all of Canada’s energy exports feed manufacturing units across the border. With energy exports comprising 33% of total Canadian exports, a continuous improvement in U.S. manufacturing is bound to translate into export growth for Canada. Structurally as well, Canada has an advantage because its government has been focusing on education, infrastructure, transportation and healthcare for quite some now. In fact, prior to the recession, Canada had been exhibiting a better rate of job creation than the United States. With its bounty of resources, Canada holds an important position on the global economic stage. Leveraging these assets, the country should be able to decouple its prosperity from its powerful southern neighbor. There is one pressing problem though. 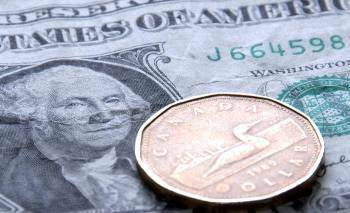 The Canadian dollar (CAD) has strengthened from 20-year average levels of 0.75USD/CAD to near parity and is projected to get stronger in the days to come. A rising Canadian dollar will affect not only exports from the automobile and forest sectors, but also hospitality and tourism services. Citizens from the U.S. form the bulk of tourists to Canada. The strengthening of the CAD threatens to block the flow of tourists from the south, although tourist flow from thriving developing nations like Russia, India and China has been rising. A country with varied geographical and demographic features holds much promise for the future. Canada possesses the ingredients needed for all around development of the country: political stability, amicable relations with its neighbors, an educated population, a strong economy, and a pristine environment. But on the other hand, Canada faces challenges in the form of declining levels of population, and a threat to its sovereignty in the Arctic region. Closely tethered to its neighbor, a prolonged downturn in the U.S. economy could significantly affect the economic health of Canada. 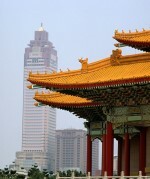 Despite the challenges faced by the country, positives do stack up for its development. Being a resource-rich country, Canada holds a clear advantage. Asian and emerging markets growth powerhouses like China and India will continue to fuel demand for resources like metals and oil, which Canada is well equipped to supply. Furthermore, the country’s producers of various grains like wheat, corn, barley and other oilseeds stand to benefit from the global grain shortages. Canada, with a basket of natural wealth, is poised to benefit from it all. Thomas White International is an independent, employee-owned asset management firm with offices in Chicago and Bangalore, India. Employing a value style, our investment approach blends a highly detailed, quantitative equity valuation method, with disciplined stock selection by a seasoned investment team. Backed by an exhaustive research process, the breadth of our research allows us to spot opportunities in relatively less known regions, while the depth of our process seeks to reduce risks through detailed evaluation of the regulatory environment, industry competition, and management quality. From mutual funds, to separately managed accounts, and institutional portfolios, Thomas White International now offers a large bouquet of asset management offerings, covering international, global, and emerging markets mandates.